If I want to know if a cellist is meeting the requirements for good quartet playing, I don’t think about how I would play the part. I imagine how David Soyer would have played it. As a very young cellist I first became aware of the magic of great string quartet playing by listening to the Guarneri Quartet’s recordings of the Beethoven Quartets. Like everyone, I was seduced by the perfect ensemble, the luscious tone, and the utterly convincing musicianship. But it wasn’t until I started playing quartets many years later that I learned how many of those qualities, in the Guarneri Quartet, came from the bottom up. David Soyer was not only a great cellist, musician and teacher; he was also a keen analyst of everything that went into playing the instrument, both in and out of an ensemble. It was David who taught my quartet the basic principle of playing together, rather than following a leader. This was in 1980, my first season in the quartet, when we exchanged the most expensive bottle of scotch we could afford for a couple of hours of coaching from David on Beethoven’s Opus 127. We were attempting to get the first chords perfectly together, and asked him for help on how to follow each other. His answer was both simple and revelatory: if you only follow, you will inevitably be behind – you must lead together with the same motions, strike the string in the same way, at the same time, and then you will be truly together. It is something that we have never forgotten, a concept that we have passed along in all our teaching. As we said goodbye and thank you that day, we watched David head down the hallway towards the elevator. Just before he got in, he turned back to us, and in a commanding voice said: “David! Play louder! All the time!” This is also something I have never forgotten, possibly to the dismay of my colleagues. David’s handling of the cello in the quartet was something of an inexplicable phenomenon. Although he never appeared to be straining, he made an absolutely enormous sound on any cello that was put in his hands. That sound, so particular to him, had extraordinary depth and richness that made it never offensive or grating on the ear, but rather supporting the ensemble with a miles-deep foundation that you felt would never give way. The other signature contribution that David made to any ensemble was his incredibly natural articulation, which stabilized the group from the below, allowing his colleagues the freedom to sing seamless lines without fear of losing their moorings. The other great quartet cellist in my life may well have influenced David as well: Mischa Schneider of the Budapest Quartet. Mischa was a larger-than-life person and musician, and his sound, even on the scratchiest old recordings, comes through as the defining voice of the Budapest. Both David and Mischa shared something in common: their speaking voices boomed with the same resonance as their cellos. I always wonder: if I could sing another octave lower, might I sound as good as they? As a bonus to all that I learned about playing the cello from David came his friendship. There was never an encounter with him where he was anything but enthusiastic, warm, fun-loving, eager to share experiences, and above all, supportive. I know that I share with many cellists the now-treasured memories of his distinctive voice, his unforgettable personality, and his loyal friendship. ArtistLed has joined forces with Classical Archives, the world’s most comprehensive classical music site, to make the entire ArtistLed catalog digitally available for the first time since the label’s inception in 1997. The ArtistLed catalog will be available for one month exclusively on Classical Archives, before becoming available from a variety of online digital music retailers, including iTunes and Amazon. 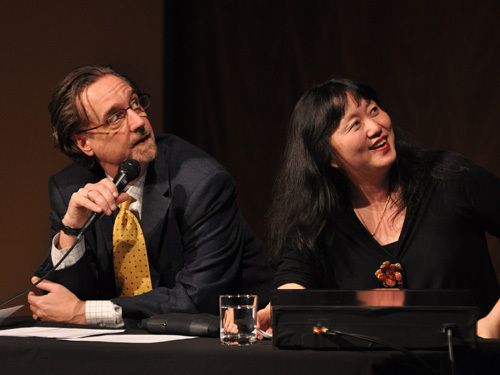 To celebrate the collaborative digital release of ArtistLed’s innovative recordings, an extensive and exclusive interview by Classical Archives Artistic Director, Dr. Nolan Gasser with David Finckel and Wu Han (see below), and a “One Click Concert” will be featured on the site. The “One Click Concert” is a collection of movements from the ArtistLed catalog, selected by David Finckel and Wu Han for free streaming in its entirety. Nolan Gasser: Normally in interviews with top–tier artists such as yourselves, I’d want to dive straight in to discuss a new album or a new project on a particular repertory – and we’ll certainly get there; but you two are so fascinating by virtue of your multi–dimensional career activities: as performers, educators, arts presenters, administrators, and record executives. It’s really a new paradigm for the successful classical musician, it seems, and I’m wondering if this is the kind of careers – not to mention schedules – you envisioned when you two first launched [the record label] ArtistLed in 1997? Wu Han: No! How’s that for you [laughs]? Well, at least for I can say for myself, that when we launched ArtistLed, I was not thinking at all about my career, my schedule, or about what it might bring me. At the time, I was only thinking: “What would be the most ideal conditions to create the best CDs we can, and to play the works we love the most, without any restrictions – commercial or business–wise?” And we were very lucky to have had the Internet around at the time; without it, none of this would have been possible. 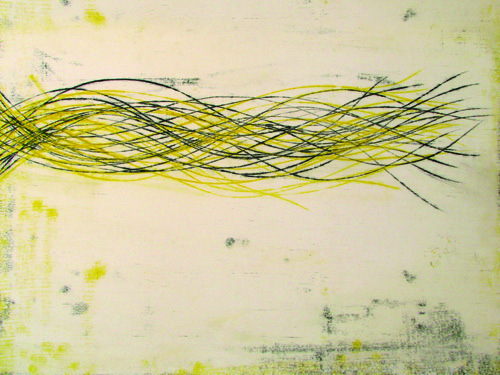 And once it started, we just followed our intuition and our artistic instincts. But did we think about schedules back then? I think not at all. Questions like “Are we going to make money?” or “Are we going to have a career with this?” These were never on the list of considerations. David Finckel: Looking at it in a microcosmic way, I think there is no one–day–to–the–next that turns out exactly like you think it will. In fact, if everything fell into place exactly where I expected it to, I think I’d feel there was something wrong. And it’s especially that way in the arts: you have to swim like a fish – there are always currents, there’s light above and darkness below, … and there are sharks! Just two days after their Beethoven Sonatas marathon at Tully Hall, David and Wu Han were back in the spotlight, this time in the Society’s Rose Rehearsal Studio. 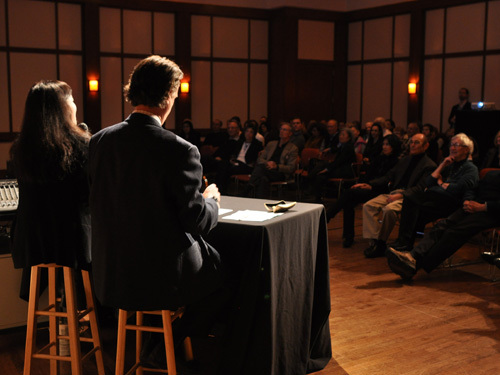 The occasion was the announcing of the Chamber Music Society’s coming season to the press, industry executives, donors, board members and staff. 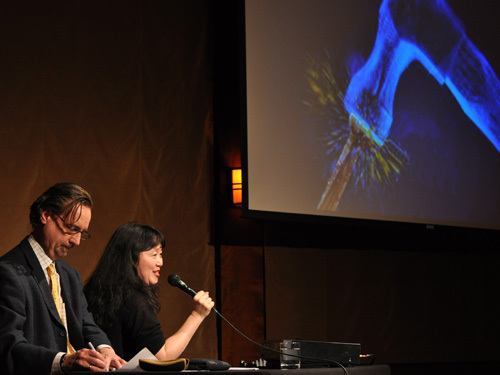 Backed by a lavish and complex Power Point presentation created by CMS Director of Artistic Programs Michael Lawrence, we took the microphone to lead the audience through the coming season (for the most complete look at 2010-11, please visit the CMS website. Next season’s Winter Festival, Manifest Legacy, is all about two of history’s greatest composers. We have always been fascinated by the close connections between Beethoven and Brahms. Although they never knew each other, they were in many ways like brothers, separated by many generations. Both men were intensely committed to their music, never enjoyed marriage or family, were moody, rude and irascible, and produced a tightly-controlled output of music that is universally regarded as the epitome of the art. Even at a young age, the talented and industrious Johannes Brahms had a lot of pressure put on him. He was expected, by distinguished musicians and the press, to take the place left empty by Beethoven. The expectation that his first symphony would be, in effect, Beethoven’s 10th, made him so cautious that it took him decade to finish it. His music is was composed in the twilight of the romantic age, and is romantic in nature. But it is as rigorously constructed as the music of the classical era. It is amazing to compare works of both men to hear how Brahms actually did, in many ways, inherit and continue the spirit and musical traditions of Beethoven. Having introduced the concept, we then played recorded excerpts of the opening of Beethoven’s Archduke Trio, followed by the opening of Brahms’s Sextet in Bb, and the opening of his B major Trio. The similarities – the steady eighth note accompaniments, the regal melodies, the tempos and the moods – are strikingly similar. The effect of Beethoven on Brahms is so palpable that one can almost imagine Brahms writing with Beethoven looking over his shoulder. The series will have five concerts and will likely sell out quickly. From there we moved to our other festivals: the Baroque, with guest appearances by violinist Daniel Hope and pianist Stephen Prutsman; the two-part Folk Traditions, with guest pianist Jeremy Denk, featuring the music of Middle Europe; and our Striking Sounds festival in the spring, a percussion extravaganza featuring music of Bartok, Crumb, Tan Dun and Xenakis, with guest baritone Thomas Hampson. Opening Night brings the great American violinist Gil Shaham for a program of Haydn, Dohnanyi and Brahms. Pianists Emanuel Ax and Yoko Nozaki visit for a tribute to Schubert. Russian Voices pairs classics of Shostakovich and Tchaikovsky with a new sextet by Lera Auerbach. French Winds is an entire evening devoted to the colorful wind music from France, and Chinese-American composer Bright Sheng is creating a new cello/piano work for former CMS Two stars Alisa Weilerstein and Inon Barnatan. And, a whole evening of Mozart will herald the next visit of the young Finnish phenom, pianist Juho Pohjonen, and also of veteran violinist Shmuel Ashkenazi for a performance of Mozart’s magisterial Divertimento. The Belcea Quartet returns for a visit, having captivated our audiences last spring in the Tully opening festival, and Philip Setzer, Wu Han and I will close the season with our performance of the Schubert Trios, on tour this year to fifteen cities across America. The remainder of our presentation detailed our two series in the Rose Studio, the many activities of the Society’s education programs, our activities and innovations in new media, and a summary of coming tour locations and international residencies, including Wigmore Hall in London, the Mecklenburg Festival in Germany, and music cruises in China and the Greek islands. OUR THANKS goes to, first and foremost, our artistic planning team, Valerie Guy and Michael Lawrence; to our new, vibrant Director of Marketing Lauren Bailey and her co-workers Trent Casey and Michael Lonardo who assembled, on schedule, a beautiful brochure and who have been selling out one concert after another; to our production team, principally Lana Mione and Jihyun Kim for event design and audio-visuals; to our graphic designer Nick Stone for another stunning brochure, his fifth for CMS; and to visual artist Doug Glovaski whose ethereal work graces the cover of the brochure and will be a graphic presence throughout our coming season. After performing the two Opus 5 sonatas of Beethoven at Alice Tully Hall on January 31, David Finckel was brought a message backstage that the Emerson Quartet had just won its ninth Grammy award in Los Angeles, for “Intimate Letters”, the quartet’s recording of the Janacek Quartets. 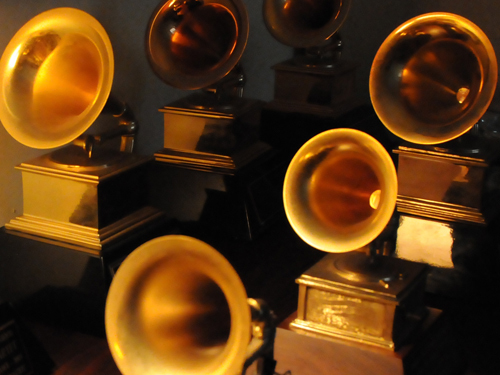 A complete list of the Emerson’s Grammys follows. The Emerson Quartet was the first chamber ensemble ever to win a Grammy for Best Classical Album.